Tongariro National Park undoubtedly has some of the greatest walking tracks in the country. With the Tongariro Alpine Crossing being the most iconic walk in the area, we tend to forget about the many other tracks available. Now that we are approaching the Great Walks season, we thought it was timely to acknowledge the many other Tongariro walking tracks. We often talk about the Tongariro Alpine Crossing, however the hike is not suited to everyone. We’re going to leave this one for today and give the region’s lesser-known tracks the attention they deserve. What makes Tongariro National Park so great for trekking is that there are tracks suited to a wide range of abilities. 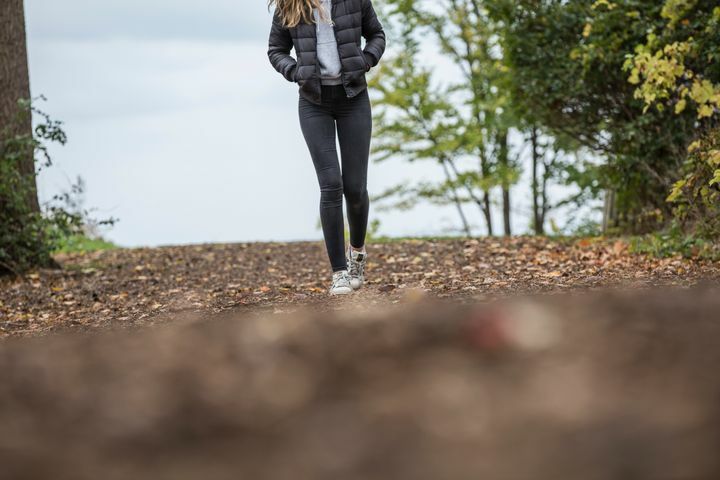 Whether you like your walking tracks short and sweet, or you want to cover as much terrain on foot as possible, there is a track waiting for you. The Great Walks season opens this month which means it’s the perfect time to hit the Tongariro walking tracks. The mild weather and dry ground means trekking through the region is far easier to prepare for. Let’s take a look at some of the best Tongariro walking tracks, broken down by level of difficulty. These tracks are perfect for a lighter stroll. Although shorter in distance, they cover plenty of the region’s stunning terrain. Beginning with a short climb through beech forest, walkers emerge through alpine shrub lands. Take in panoramic views of Ruapehu, Ngauruhoe and the region’s landscape. When you’ve had your fill of the amazing views, simply head back the way you came. Begin with a short series of steps to the top of one of the mounds. This is an easy climb where you’ll be rewarded with fantastic views of the region’s volcanoes. The mounds are believed to be the products of debris during Ruapehu’s periods of high activity thousands of years ago. This little beauty is wheelchair accessible and filled with unique alpine foliage. It’s a sealed loop track with information stands along the way to explain the various plant life. 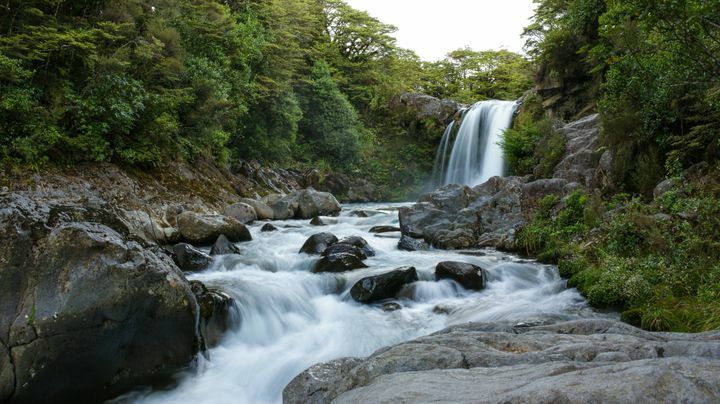 The Tawhai Falls track begins with descending steps through mountain foliage and beech forest. 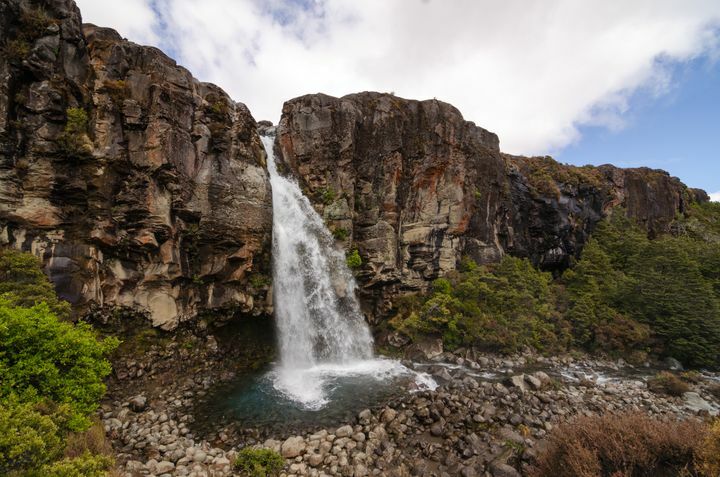 When you reach your destination you’ll see the beautiful Tawhai Falls tumbling over the edge of ancient lava flow. If you want to step things up a notch, these are the tracks to try. Taking between two and three hours to complete, you’ll have covered a fair share of Tongariro terrain once you’re through. The Silica Rapids refer to the creamy-white terraces found among mountain beech forest in Tongariro National Park. On this walk you’ll travel alongside a cascading stream before emerging to marvel at the amazing Silica Rapids. Alpine foliage, swamp and tussock allow for varied scenery along the way with stunning views of the volcanoes in the distance. This track allows you to take in the splendor of the Tongariro Alpine Crossing without having to trek the entire course. Maungatepopo Valley to Soda Springs is the first section of the Crossing and a good alternative to the day-long hike. It is believed that the Valley was carved out during the ice age and partially infilled with Mt Ngauruhoe’s lava flow. Walk alongside ancient lava flows and yellow tussock before climbing a gentle gradient towards the foot of Mt Ngauruhoe. Taranaki Falls tumble 20 metres over the edge of a 15,000 year old lava flow. See the water plunge into a boulder-lined pool at the halfway point of this walking track. It really is a spectacular sight. For those adventure-seeking energiser bunnies, these tracks are tougher in distance and terrain. Trekkers must be prepared for all sudden weather changes and ensure they familiarise themselves with the tracks before they set out. This walk is an extension of the Taranaki Falls Walk. Trek through tussock and alpine herb fields. Further into the walk, the trek branches to the left towards the Tama Lakes. View the lower lake before ascending on a steep climb to a viewpoint of the upper lake. The lakes are made up of several old explosion craters between Mt Ruapehu and Mt Ngauruhoe. It is essential that you prepare well for this walk as there are no formed tracks to the lakes, you can only reach them via steep gullies. Part of the walk is also prone to strong westerly winds so windproof clothing is highly recommended. The Tupapakurua Falls Track has been upgraded by the Department of Conservation and the local community. 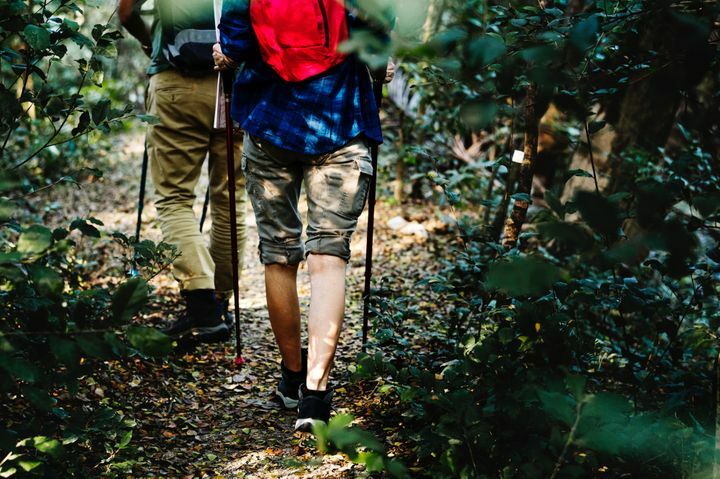 Beginning with an easy 20 minute walk, the track transforms into a back country adventure which is why it’s only suitable for experienced trekkers. After following a ridge, the track descends steeply towards a stream. See Tawa, Rimu, Miro and Totara along the way. The first half of the track is completed with a climb to a lookout point where you can view the falls. Return the same way you came. New Zealand’s Great Walks are premier walking tracks with the most diverse terrain and scenery. The Tongariro Northern Circuit is one of New Zealand’s nine official Great Walks. The 43 kilometre journey takes three to four days to complete with DOC campsites set up along the way. Beginning and ending at the Whakapapa Village, you’ll see the best of Tongariro National Park. Pass through active volcanoes, ancient lava flows, heavy beech forest, alpine meadows and emerald lakes. Explore the many corners of this amazing World Heritage Site. Bookings for the Tongariro Northern Circuit will be open from October 19 to April 30. Although it is a more predictable time of year weather-wise, you can never be too prepared. This is an adventure to remember for a lifetime so ensure you have done your best to familiarise yourself with the course before you go. Read up, ask questions and take your time along the way. Each walking track in Tongariro National Park offers something unique and exciting. If you’re a trekking aficionado, a visit to Tongariro National Park will be a travel highlight for you. But even if you prefer shorter walks, you’ll be spoiled for choice here. The Park Hotel is located at the heart of the walking track action. Set yourselves up here and take comfort in knowing that you have quality accommodation and a lovely on-site restaurant and bar waiting for you on your return. Plan your trip to Tongariro National Park for the Great Walks season and make the most of the ideal trekking conditions. Call us today.